Has your cooker stopped working – or is it on the way out? Then give us a call to discuss a cooker replacement. 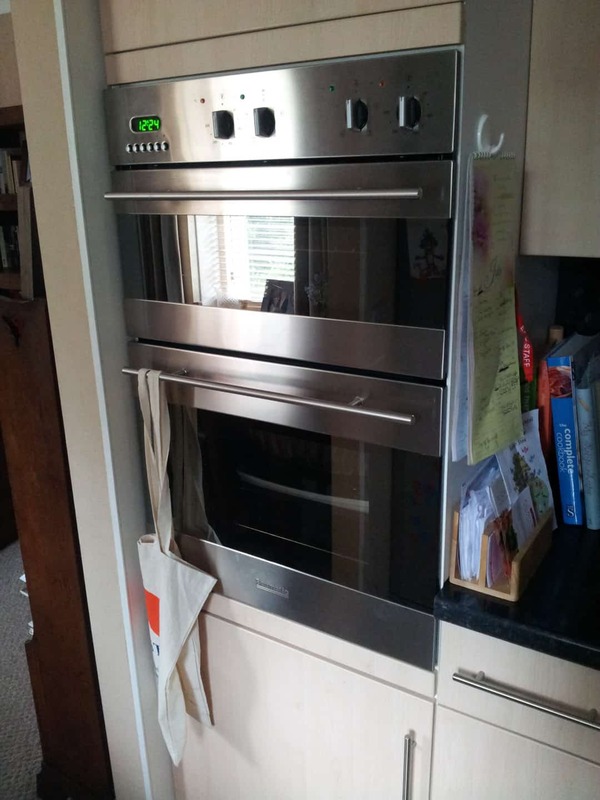 We’ll be more than happy to arrange a visit and discuss a like-for-like swap – or, if you prefer, we can give you a suitable choice of new cookers to replace it with. If you haven’t checked out what’s available recently you will be pleasantly surprised! When you’ve made your choice we will source your new cooker, pick it up from the store for you, bring it to your kitchen, and fit it for you. We’ll even take away your old cooker for recycling! But if that sounds like a perfect Christmas present for the chef in your life, please be sure to arrange an early Christmas – December is our busiest month, and also a time when stocks are scarce! To be safe, why not call us today for a quotation? Do you have a gas cooker you want to replace with an induction hob – or with a new, electric, fan-assisted oven? No problem – we’ll be happy to arrange a visit and to give you a free quotation. While we’re on site we can check out the work involved in running the necessary heavy duty cable from the cooker position to the fuse board as neatly and unobtrusively as possible. And – if you wish – we can leave the work ready for others to make the final connection if necessary. Don’t worry – we’ll put your mind at rest, and at Tack Electrical we see this as a straightforward, everyday job. Call us as soon as you can for our earliest appointment.